Being able to read facial expressions, ones showing pain, joy, confusion and the like, was a keen assessment skill learned as a nurse and used each and every day while caring for people. The ability to tell if someone was sad, hurt, happy, unsure also served me well in my personal life. Today, as a teaching artist, I find the face a fascinating subject, which serves to inspire some of my creative mixed media work. How about you? Do faces hold a mystique, tell a story, inspire you? I would love to know your thoughts. 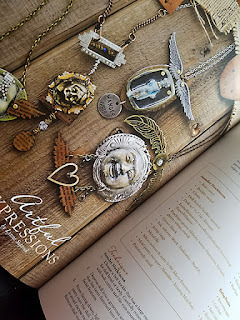 In the Winter 2017 issue of Belle Armoire Jewelry Magazine, page 86, I begin my feature by writing about faces. I would like to share a bit more about how to develop some of the pieces in that article. It was a great bit of fun. When working with the mold putty to replicate faces, be patient. The first two times I tried, I blurred the details. When you depress your face or doll and add the buckle into the putty from behind, make sure you stay steady for about 7 minutes. Tough I know. Remove everything once mold putty is set. I used the fast setting casting resin from Alumilite to pour into the doll/head part of the mold putty, but only part way. Let set. Replace the buckle back into the mold putty. This is really the important part next to staying steady. Then mix and add more resin until the whole doll/head mold is filled AND let a little bit flow onto and over the buckle itself. Everything is held together that way.....yay! When everything sets, remove the resin and buckle and paint as I explain in the article and embellish. 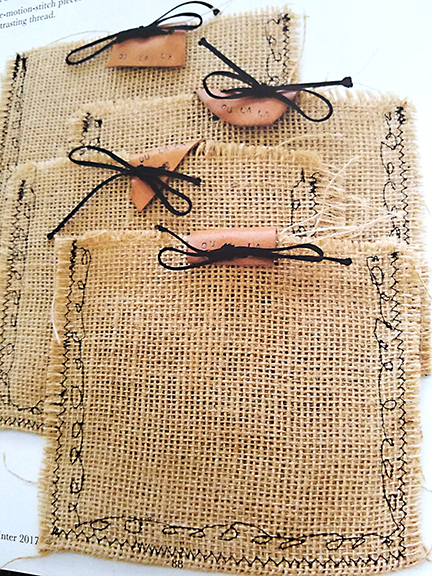 For some of my submissions, I go an extra step and create pouches or containers for them. 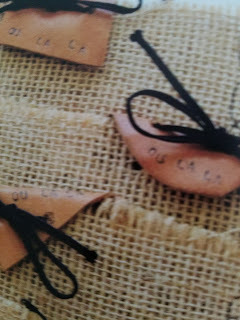 For these necklaces, I did just that out of some burlap. Nothing fancy, but created more of a theme related to these relic like pieces. 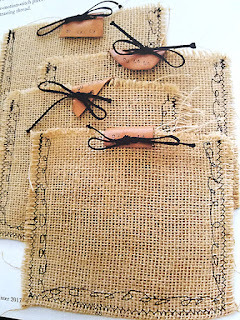 How cool..... let's go a step further and add scrap leather, then stamp. 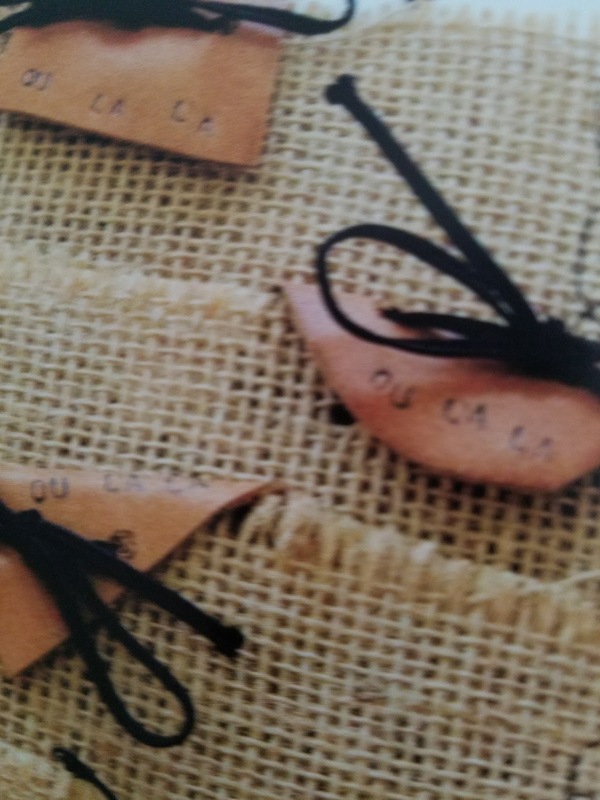 Ou la-la!! Thanks for taking a peak and happy creating.